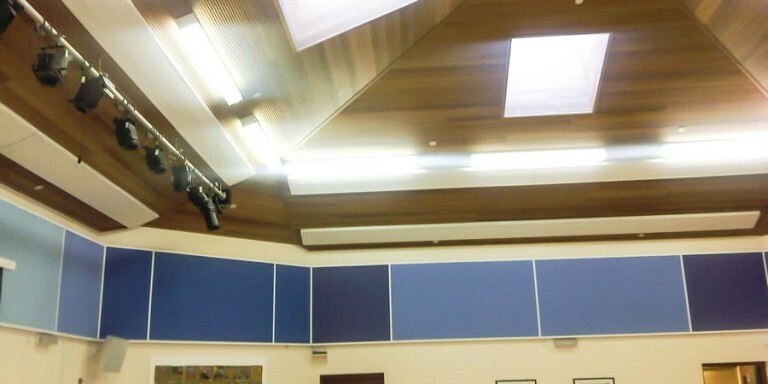 We were contacted by St Andrew’s Church in High Wycombe regarding an acoustic issue they were having in their hall. 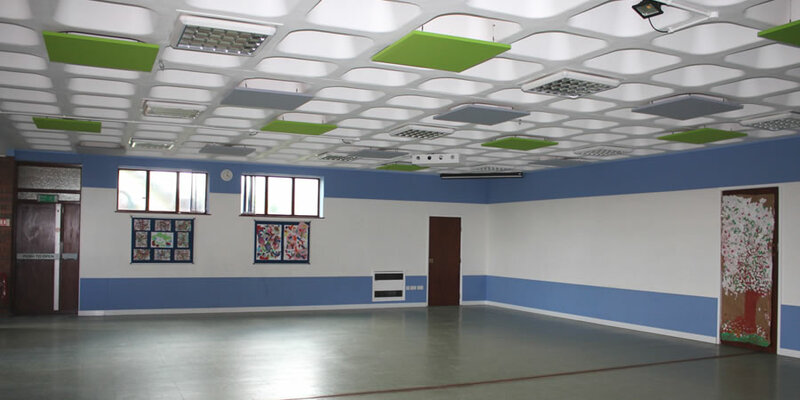 The hard surfaces in the hall were resulting in a long reverberation time, which was affecting the speech intelligibility, and creating an unpleasant environment to be in. 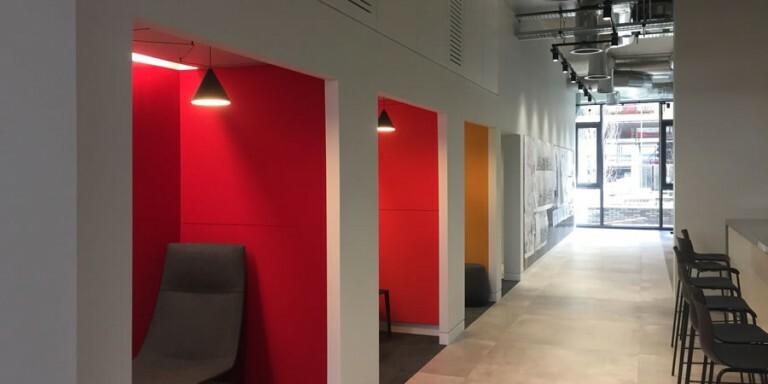 After providing a free reverberation time calculation, we determined how much absorption was required to reduce the reverberation time in accordance with the BS8233 British Standards for reverberation in rooms. 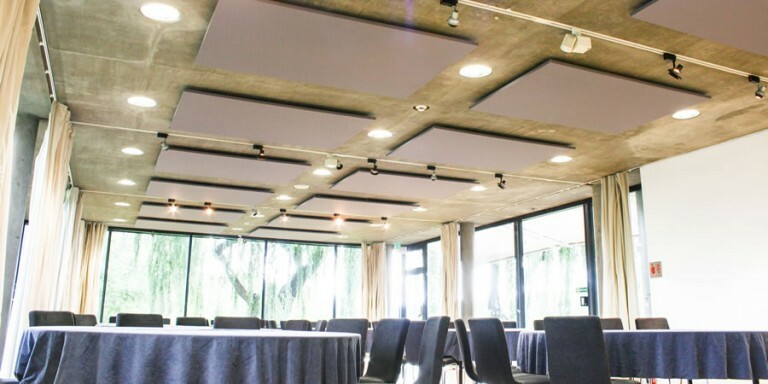 We recommended the use of our Cloudsorba suspended acoustic panels, which are a Class A absorber. 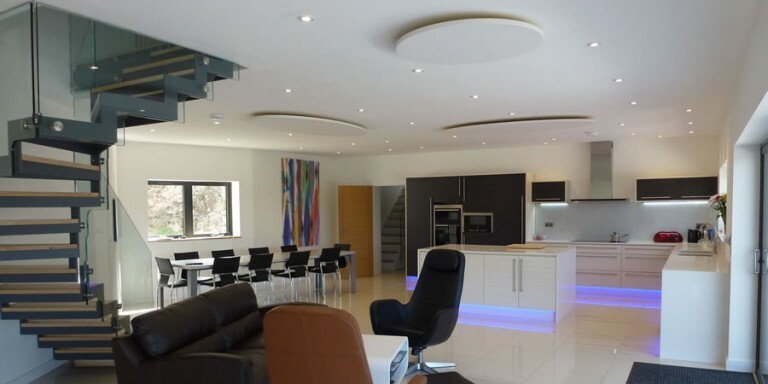 These come in a range of 72 standard colours, so a visually pleasing pattern could be created. 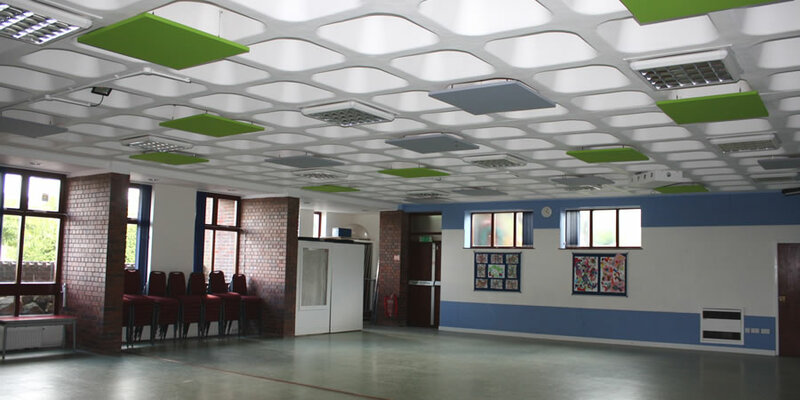 The panels were delivered to the site within a week, and due to the simple installation methods, a local contractor could be contacted for a hassle free installation. Overall, the users of the Church were very happy with the improved acoustics in the hall.